Yes, I have been knitting the back of the sweater. Still so far so good and I am loving the Rowan yarn. I’m almost up to the armholes (which have not yet been designed) so I’ll be stopping there and moving on to another piece, either sleeves or shawl collar. I’ll show you photo updates next time. Over lapping right & left leaning decreases. We have embarked on a design that uses the Showy Decrease in a series of more complex stitch patterns. I realized however, that many of you have not yet tried simpler applications. That means, I have a bit of homework for you (I love homework, as long as it involves knitting). I have put together a quick Showy Decrease tutorial for you that will show you how the technique is worked. It’s a modification of the introduction materials I have been using for my Jimmy Beans students. Until I can convince all of you to come to the Reno/Tahoe area to visit me in person (yes please) we’ll try the home schooling method which includes some video support. A two-page PDF tutorial that includes two swatches. The first is a ‘before’ swatch with standard k2tog decreases and garter stitch non-rolling edges. The second substitutes the Showy Decrease to show you how it’s knit, how to spot in in your knitting and why it’s not more difficult. I also added an alternative non-rolling edge for you to test out. I call it the Hatch Stitch edge. The Manchester Scarf is a very good introduction to the techniques. I’m hoping someone knits a wide baby blanket version because I know it would be beautiful and I just don’t have the time. The stitch pattern in this pattern has both right and left leaning decreases but it’s simpler because they don’t overlap as they will on the sweater. Download the Showy & Subtle Decrease Summary tutorial from our bonus materials page. Then grab some smooth swatching yarn and knit both swatches. Yes, I know you’ll want to skip the first one, but you can’t really appreciate the after swatch unless you do. Download the free Manchester scarf pattern on Ravelry. Even if you only knit a swatch from the patten, it will give you the chance to work both k2tog and ssk decreases and practice spotting the pattern in the knitting without looking at the written instructions. If you can’t spot the pattern, then knitting the back of the sweater will be harder than it needs to be. Watch the You Tube video about the Manchester Scarf to see if you pick up any tips. One of these days, I’ll be in Reno when I can join on of your classes. I live in Susanville ca. A quick note: I am LOVING the design-a-long. I’m a new designer but an experienced knitter. Going with you on your design process is fascinating. Thank you! Thanks Rheba! One of my goals is to share these techniques with other designers. I would love to do more designer oriented blog posts. The tools I use, the layout ideas. Fun. Hi Norma, I am a continental knitter for sure and when I try to video and throw my yarn at the same time it all falls apart. The only time I speed through is when I’m working plain knit or purl stitches. I slow way down on all the important tips so try listening to the instructions and following the needles vs where the yarn is coming from. You bring up a valid point so I will make sure to integrate more throwing examples in the videos. 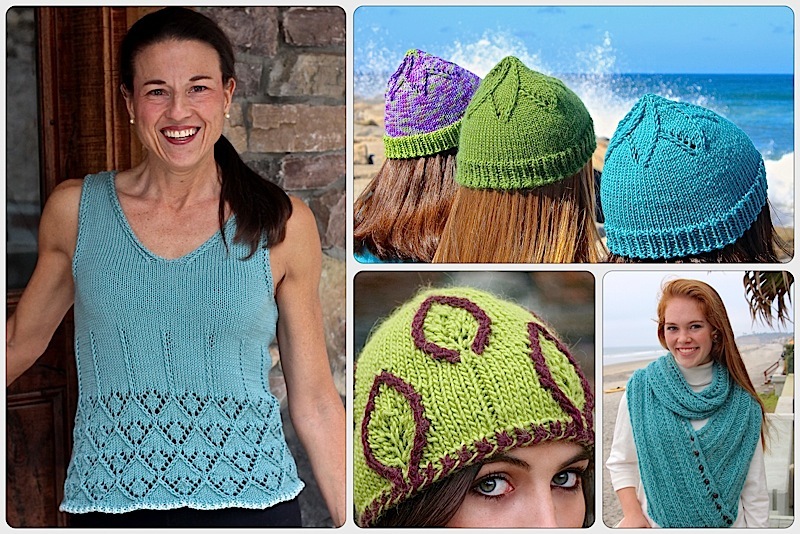 This entry was posted on February 2, 2018 by Laura Cunitz in Design Along, Free Downloads, Nuances, Showy Decrease, Videos and tagged Knit Sweaters, Knitting Nuances, Knitting Techniques.